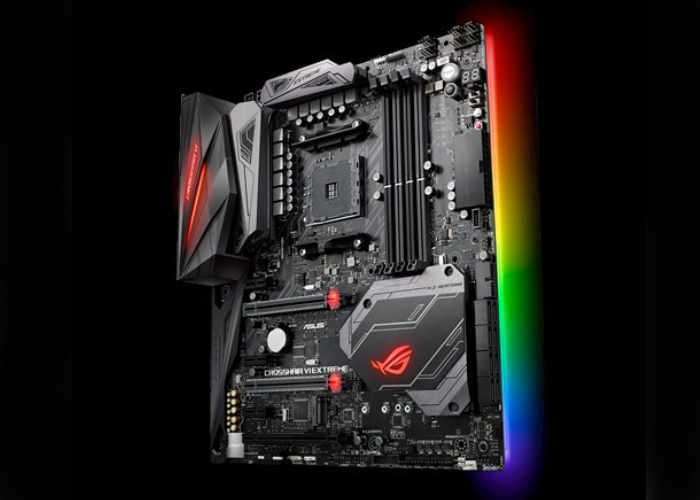 A new extreme motherboard has been unveiled by ASUS this week in the form of the X370 ROG Crosshair VI Extreme Motherboard which has been specifically designed for AMD’s new Ryzen CPUs. Enabling system builders to create high-end machines allowing the system to be overclocked and cooled with the installation of a liquid cooling system if required, together with a customisable lighting system. Performance and overclocking are inextricably tied to cooling, so we’re constantly looking for ways to improve thermal management. For a high-end board like the Extreme, that means supplying everything needed for sophisticated liquid loops, starting with a special header for monitoring monoblock temperatures, flow rates, and leak detection circuits. We’ve already partnered with the experts at Bitspower to produce a monoblock made specifically for the Extreme. It will be sold separately from the motherboard, and other block makers can offer alternatives of their own. In addition to the header for monoblocks, a separate set of connectors is available for tracking liquid temperatures and flow at another point in your loop. Those are joined by a staggering 13 fan headers, nearly double the number on the Crosshair VI Hero. One header is configured specifically for pumps, while two groups of four huddle together for easy radiator wiring. 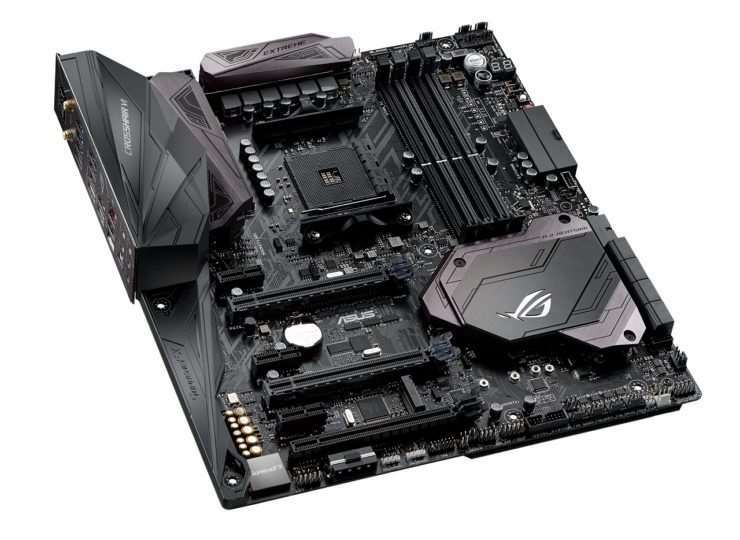 If you need more, the board supports the ASUS Fan Extension Card, which brings the total number of headers up to a sweet 16. RGB lighting is expected at this point, but the Extreme doesn’t just add some blinky bits and call it a day. It’s one of the first motherboards with a header for addressable light strips and that offer control of each individual LED. The header can be used to power more advanced effects, but it’s not just meant for strips. At Computex 2017, the Extreme was demoed with a daisy chain of addressable LED fans. We’re also working with chassis makers to integrate compatible lighting into their cases. The addressable header is joined by two more reserved for conventional LED strips, and onboard lighting extends the glow to multiple zones on the motherboard itself. Each element can be controlled independently or synchronized harmoniously to create just the right look for your PC. Thanks to Aura Sync, you can match colors and effects across a complete family of compatible components that covers every aspect of your rig, both inside and out. And with our new Aura SDK, developers can integrate the lighting with games and other software, opening up exciting possibilities for cosmetic and functional flourishes.